Join us in the fun! Draw your own cartoons using the same methods the pros use. 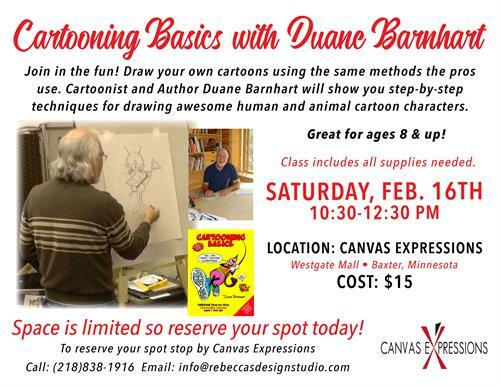 Cartoonist and author Duane Barhart will show you step-by-step techniques for drawing awesome human and animal cartoon characters. Great for ages 8 and up. Class includes all supplies needed.